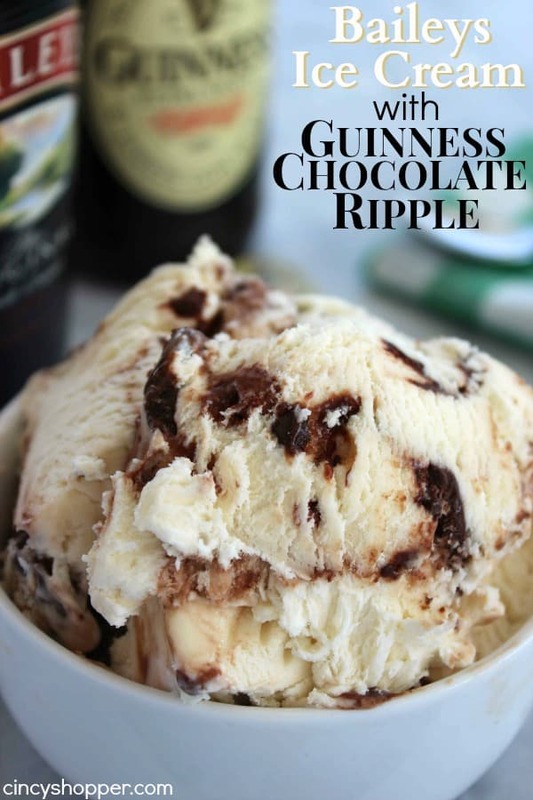 If you are looking for a SUPER tasty St. Patrick’s Day dessert, this Baileys Ice Cream with Guinness Chocolate Ripple Recipe is going to be perfect. 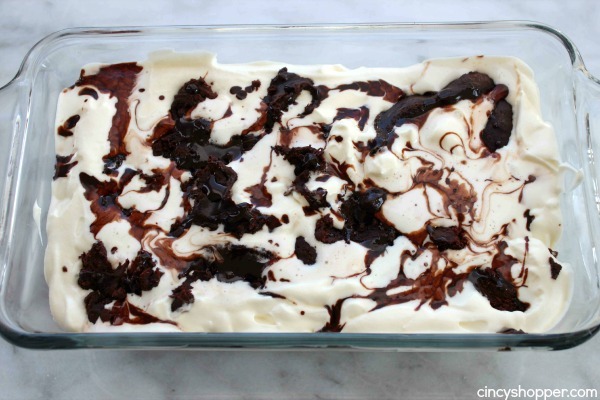 This ice cream, like all the other ice cream recipes I have shared with you, requires No Ice Cream Maker. My family has become addicted to making our own ice cream. I am not sure when the last time we bought store bought was. Now that we realize how simple it is to make our own favorite flavors at home, that’s what we do. 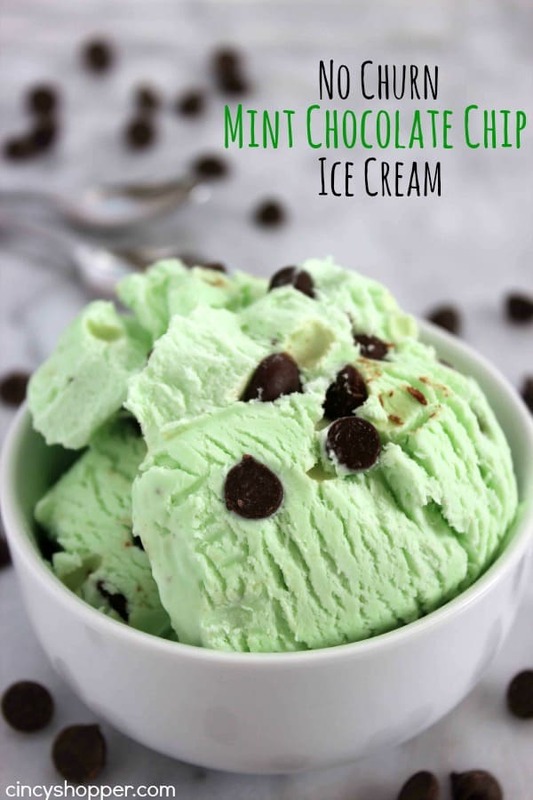 The No Churn Mint Chocolate Chip Ice Cream I shared with you last week was gone within just a few minutes time. The kiddos loaded it up into their dishes and waffle cones and that ice cream recipe was gone quickly. My hubby has been on a Guinness and Baileys obsession this past few weeks. 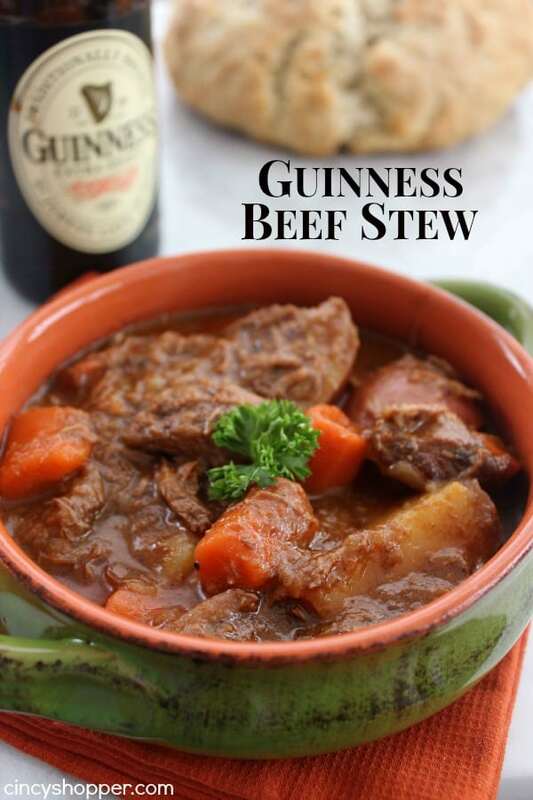 He shared his yummy Guinness Beef Stew with all of you. 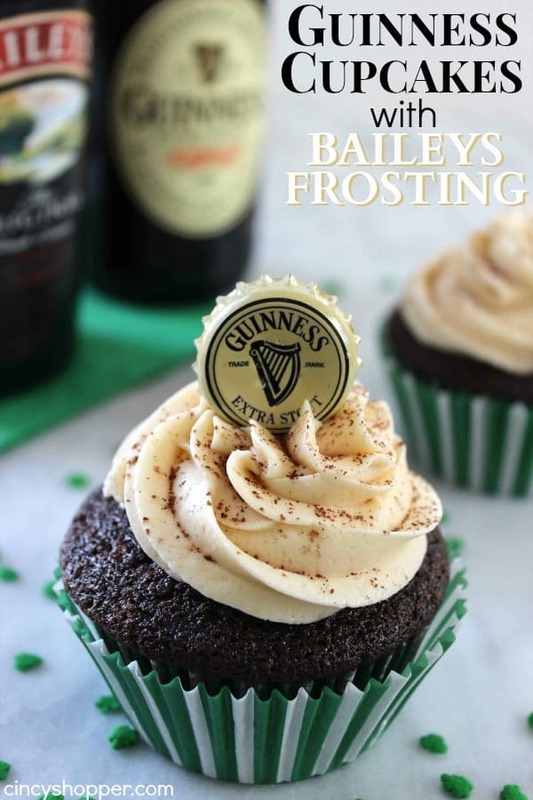 I shared the Guinness Cupcakes with Baileys Frosting with you yesterday. I think he may have went a little overboard on the Guinness and Baileys. That reminds me…I will share his Guinness bread he made with you before the weekend, it was super tasty. Do you think he has went a bit overboard? Ha ha! Part of me likes him making all of these creations but I feel like he is spoiling me with all these great recipes. 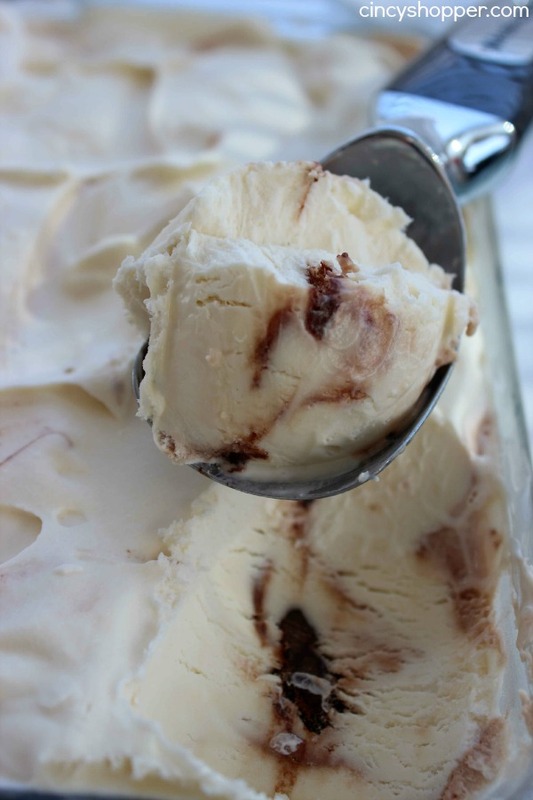 Ok, now back to this delish Baileys Ice Cream with Guinness Ripple recipe. 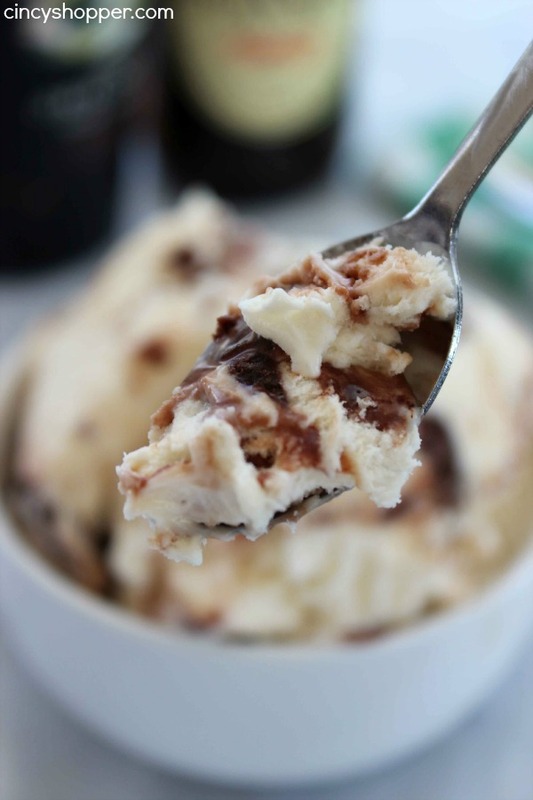 This ice cream is one of those desserts that tastes so decadent. This one is an adult ice cream because it does contain some alcohol. 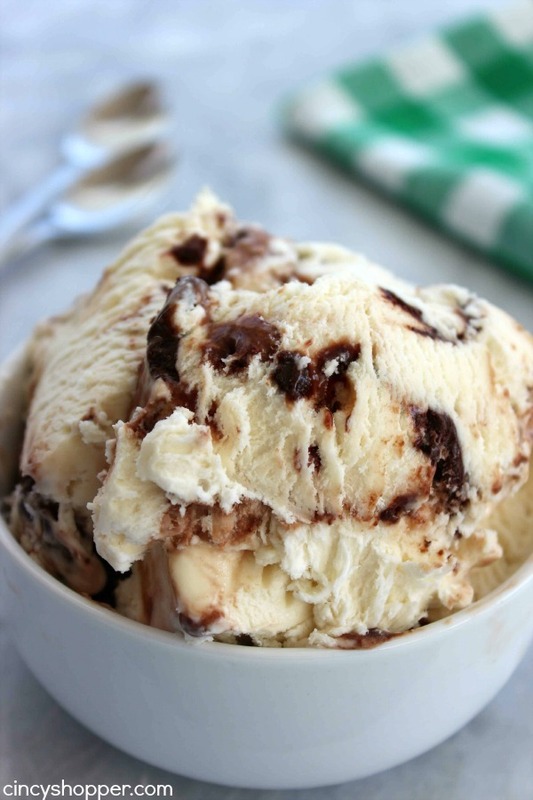 The ice cream has that yummy taste of Irish cream and the chocolate Guinness swirl just takes this dish over the top. YUM! We each enjoyed a dish after he made this batch. We saved another dish for tonight. 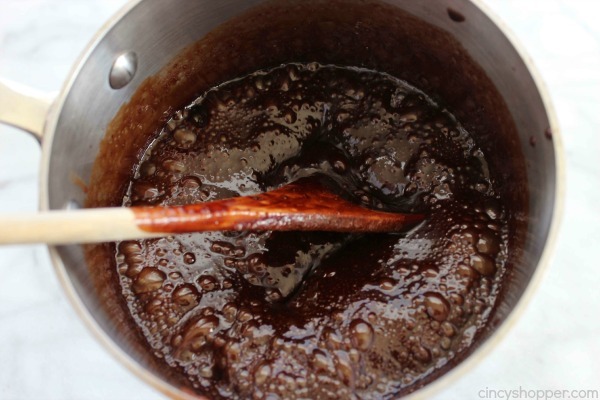 I knew I would be writing this post to share the recipe with all of you. I knew I would be craving it after describing it and looking at the yummy pictures, ha ha! 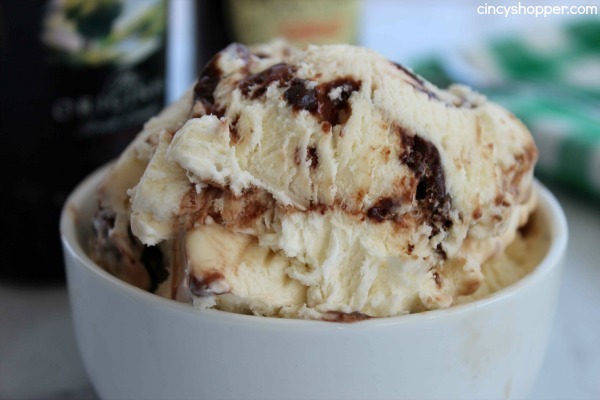 The ingredients needed to make your own Baileys Ice Cream with Guinness Chocolate Ripple are quite simple. 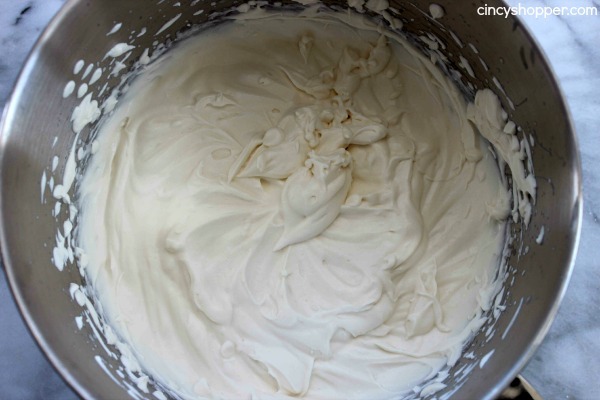 All of our homemade no churn ice cream recipes include heavy whipping cream. 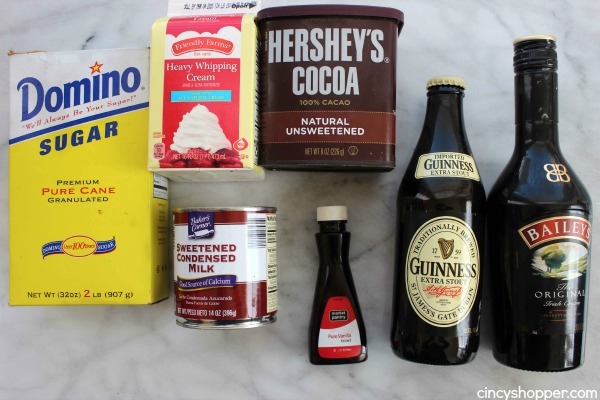 You will also need sugar, sweeten condensed milk, vanilla, Hershey’s Cocoa. Plus you will need Baileys Irish Cream and Guinness to finish this one off. Spread remaining ice cream miture into pan.